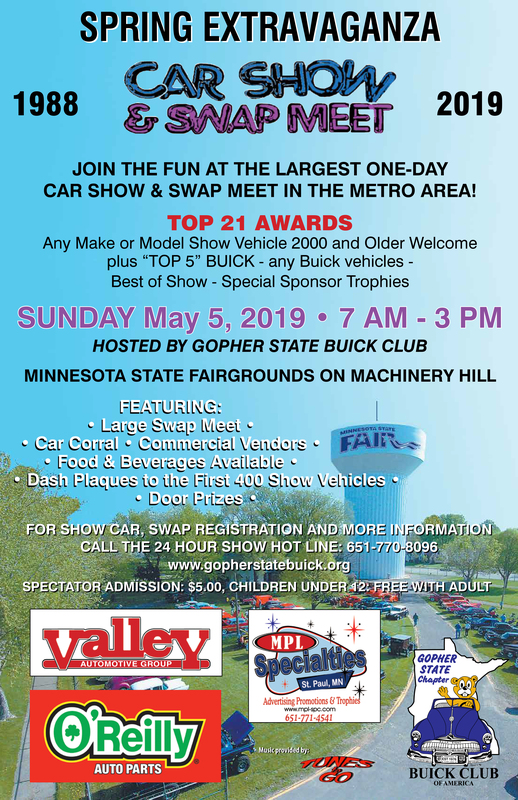 The Gopher State Buick Club will host its 32nd Annual Spring Extravaganza Car Show & Swap Meet on Sunday, May 5, 2019 from 7 AM to 3 PM, at the Minnesota State Fairgrounds in St. Paul (rain or shine). We will again be on Machinery Hill and the Northeast Parking lot. 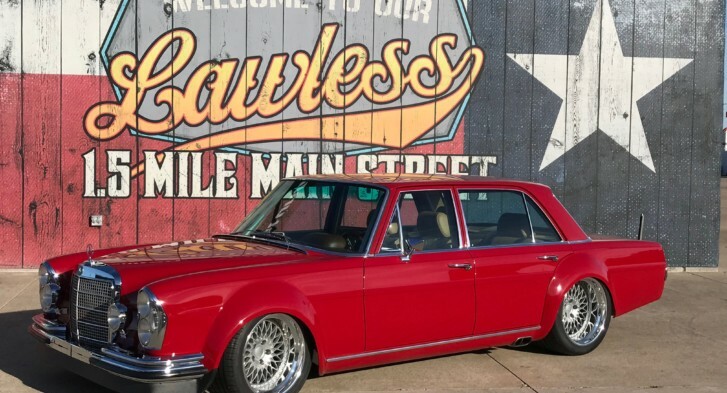 All show vehicles 2000 & older, plus any year Buick, are welcome Trophies for Top 21 – participant voted, plus Top 5 Buick’s and Best of Show. Day of Show costs: $15 per vehicle, driver and one passenger; $25 per 25’ long x 15’ deep swap space; and $5 per spectator over age 12. 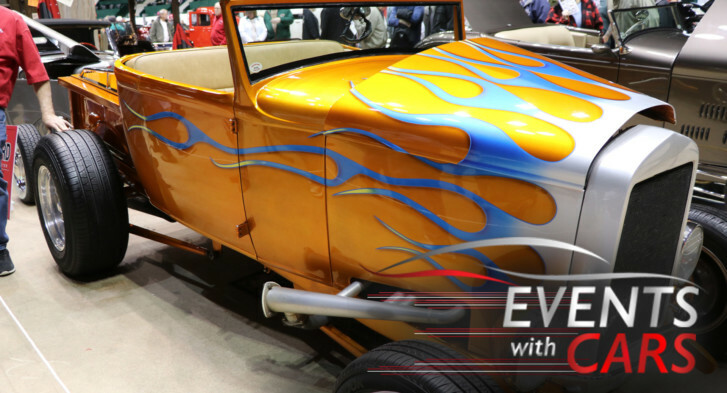 Spectator parking available south of Larpenteur Avenue (NW lot) For flyer & more info, including early registration discounts, contact us: Spring Show – G.S.C.B.C.A PO BOX 130067 Roseville, MN 55113 Our 24-hour HOTLINE is 651-770-8096!